As if you didn’t already know, I tend to love all things coconut…especially organic coconut oil. I use it for fuel, especially in recovery, for Daily Nutrition, for my kids’ nutrition, and in various ways around the house. And recently, Casey Zaugg the owner of Coconutz Fuel, contacted me after reading one of my posts on Coconut Milk Ice-Cream. He simply asked if I’d like to sample Coconutz Fuel Energy Balls as an athlete and sports nutritionist. He didn’t ask for a post or even a mention on my blog or Loving the Bike. So this week, instead of heading to the kitchen and making our own Loving the Bite Fuel, let’s take this opportunity to sample a product that’s already out there. In his email, Casey described his fuel option as a “raw, all-natural energy ball with a fruit-based shell (dates, various other dried fruits) and a savory internal nut butter to be eaten during exercise. Most importantly, though, is the use of coconut oil infused throughout the product, providing quick energy for athletes as well as the host of other benefits found in coconut products.” Although this sounded great to me as a sports nutritionist, the athlete is me was a little weary – I’d tried organic coconut oil in both pre-training and during-training nutrition, and came away both times with an “unsettled stomach”(eating it straight or mixed with peanut butter has always worked great for me in recovery). But, I’m always up for new (and free) fuel, so I thought I’d give it a shot as I headed to Crested Butte, CO for a weekend of mountain biking. I used the Coconutz Fuel Energy Balls on the Reno-Flag-Bear-Deadman Gulch Trail, riding from Crested Butte South. With a name like that, you know it’s got to be good, and long. And it is. Three challenging climbs, and even more importantly, three fantastic descents culminating in 32 fun switchbacks down to the parking lot before riding back on Cement Creek Road (~34 mile lollipop loop from CB South, ~3500 ft. elevation gain, ~4.5 hours total). And, although I wouldn’t consider it “race-pace,” we rode it steady and never allowed extra time for foods to digest…the perfect challenge for a new fuel option. Ingredients promote long-lasting energy – dried fruits, agave, oats, chia seeds, organic coconut oil, nut butters…yet, still not hard on the stomach. High-quality ingredients: All natural, all pronounceable, non-GMO. That’s nice. Vegan and gluten-free. I don’t require this within my diet personally, but I coach many clients who do. Taste & Texture: Great! Not too sweet. Not sticky. Easy to get down and really appetizing during the ride. Packaging: I appreciate the reusable tube packaging and refills. Cuts down on waste and keeps your fuel from getting smashed in your pack. Organic coconut oil: Has the advantage of easy digestion, quick energy, and steady blood sugars. And, unlike straight coconut oil, no stomach upset for me! I would like to see more sodium. I know, in an age of anti-salt, it’s weird to say or hear from a dietitian. But, when sweating buckets on a summer ride, athletes need upwards of 400-700 mg sodium per hour. Some can come from a good electrolyte drink. But, most athletes depend on their food sources as well, and Coconutz only provides ~50 mg (at most) per entire package. I think agave is a good choice for a sweetener, but with its natural enzymes, antioxidants, and steady energy provisions, my first choice would be organic honey (has provided steady energy similar to maltodextrin in research). Although, it’s not vegan; and, may be why it was excluded. Overall, I felt great on the ride and feel that Coconutz definitely contributed to good, steady energy throughout it. I encourage any reader to give these a try! They definitely have my stamp of approval and I look forward to using them in the future. I’d love to see how they perform in sub-freezing temps…since they are bite-size, they may be perfect for cold-winter sports (winter bikers, ice-climbers and back country/Nordic skiers deal with frozen, inedible fuel too often). The CocoNutz Fuel contest is now closed. Congratulations to The Group Ride, who wins a starter kit. Thanks to all of you who left comments. After reading all of this, would you too like to try Coconutz Fuel? Well, you may be in luck because Casey’s giving a Starter Pack away to one lucky Loving the Bike reader. All you have to do is enter a comment below, on why you’d like to try them, or on what you already think about them (if you’ve already tried them). I’ll choose a commenter at random for the prize at noon on Friday August 17th, mountain time (so get your comments in soon!). Regarding how the CocoNutz Fuel balls work in sub-freezing temperatures, they work great! We sponsored a frozen bike race and the balls performed wonderfully in 16 degree (Fahrenheit) temps. Additionally, we had an ice climber review the product and she loved them (http://www.examiner.com/review/coconutz-fuel-bite-size-superfood-energy-balls-review). They worked great for her in the cold temps as well. Went Paleo in March and this seems like a great source of energy for long-distance tri-training! Just 35 more minutes…anyone else want in on this Coconutz Fuel give-away??? I’d love to give them a shot on my next big ride, Sub-5 hour century. I’m always looking for tasty and portable energy in the bike. Sounds like a great product. I’ll have to look for it at my local stores, or suggest it if they don’t carry this product. I like the idea of something solid. The texture was a nice change from gooey-ness and stickiness of many other sports foods. They worked well for me in addition to my homebrew carbs + lytes drink – so I was able to get in all the lytes, carbs, and fluids needed. I love coconut oil. I use it for everyday cooking all the time. I try to use it in my post ride shakes as well. This would be a welcomed opportunity to try something with the benefits of coconut out on the bike too! I am so new to cycling and fueling that I would love a chance to get started on the right foot! And I’m a huge fan of all things coconut. Awesome! Thanks for the comments so far. I was really excited to share this post as I really think it’s a great product that will work well for many cyclists. And, I just added that I’ll choose the prize winner at noon (mtn time) tomorrow, so keep the comments coming! I am training for a century and have some long rides coming. I’d love to give these a try and see how they compare to my current fueling strategies. I’m up for anything that gives me more energy. I am gluten free so this looks like it will work well for me. I’d like to try them. I love coconut. I would like to give it a try. Can you send it to Brazil? I would like to try this. That coconut milk ice cream also sounds tasty as well. I have learnt to trust the advice of Kelli so I would like to try this product out. I’m always interested in trying out new fueling options. This sounds like a nice alternative to the usual energy fuels out there. I would love to try it out. Congratulations….you’re the winner of the Coconutz starter pack. Please send your contact information to darryl@lovingthebike.com. I love coconut as well! I’m willing to try anything that tastes good and is easy on the stomach. 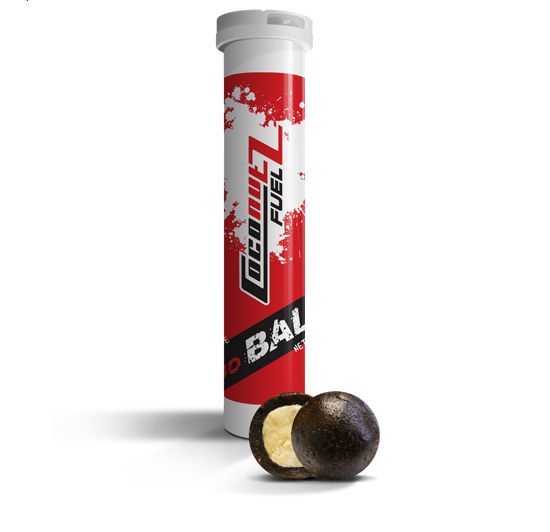 I’m lacking in my on bike nutrition and have been looking for a tasty yet effective product all summer And I like coconut.